I must admit it: unless somebody is constantly on me, reminding me all the upcoming important events and tasks, I tend to forget my term paper's due date, the doctor's appointment date or even my mom's birthday. So if you're anything like me, you're going to like Note Mania. This easy note application is more than just a digital sticky note pad to jot things down. It's a complete personal information manager where you can store all the important dates, events, tasks and other data you can't miss. As the program supports note scheduling, you can use set reminders for yourself and also mark certain notes as recurrent events, turning Note Mania into a comprehensive calendar tool to schedule both your personal and professional lives. 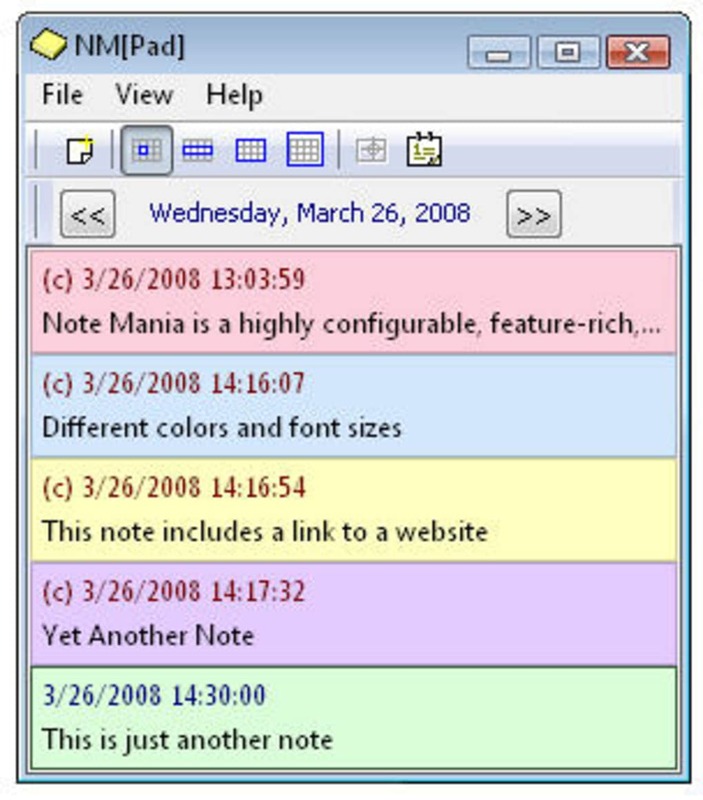 Notes are displayed as individual floating windows, listed on the program's main interface and also arranged on Note Mania's embedded calendar. 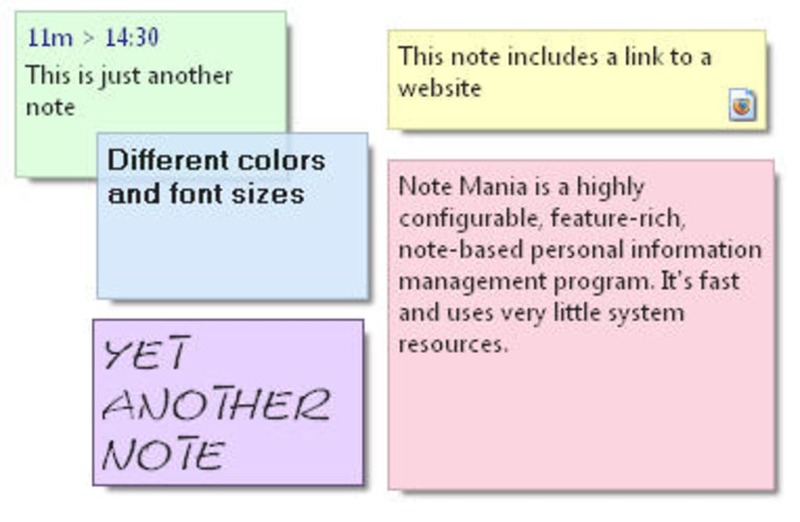 Besides its handy functionality, another outstanding feature in Note Mania is its support for customization. Notes can be personalized in many ways: paper color, text color, font face, size and event transparency level. Also, these settings can be applied globally or to each individual note. 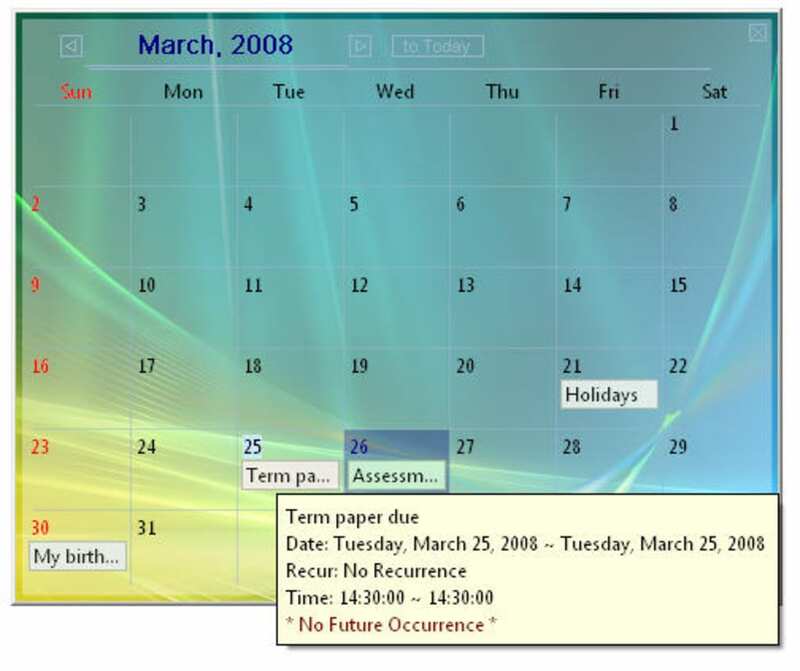 The program's calendar, however, uses your Windows wallpaper as background decoration and cannot be customized in any way. With Note Mania you'll organize your tasks in a more productive way won't lose track of any important date or event in your life again. 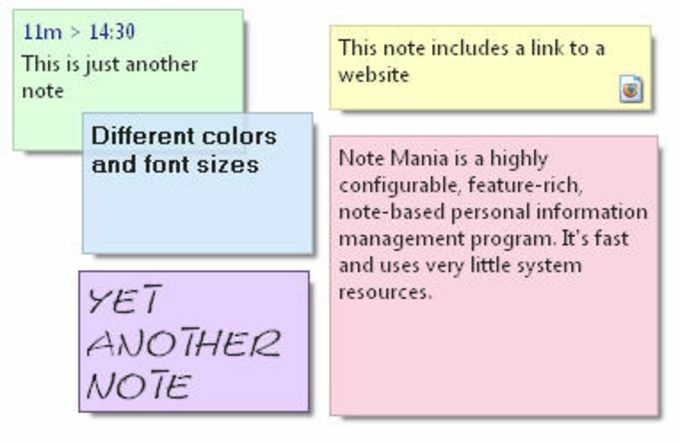 Note Mania is a highly configurable, feature-rich, note-based personal information management program. 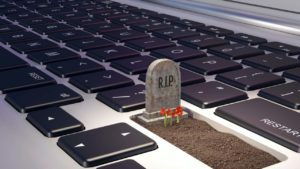 It's fast and uses very little system resources. You can change notes' visual properties such as font, text color globally or for each note individually. Notes can be made transparent to a certain point so that they do not completely conceal things behind. 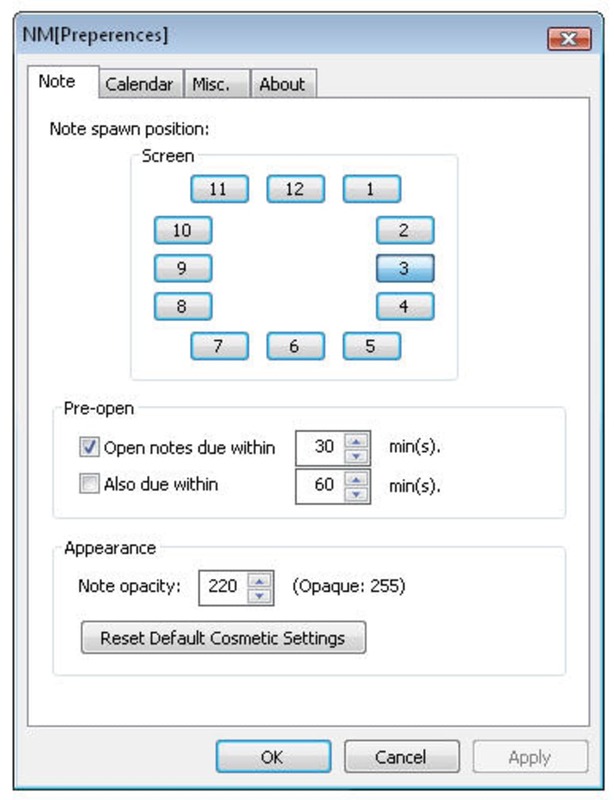 Every note you create can be browsed and managed using Pad. 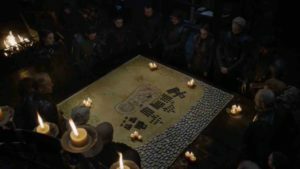 Pad is also useful when you want to review the things you've done or preview the things to come for the day or for the week, etc. Every note checked as "Show on Calendar" automatically appears on Calendar. You can use your favorite image files as the Calendar background, so that it suits your personal taste. You can use any languages supported by your OS, simultaneously, for any text you enter. 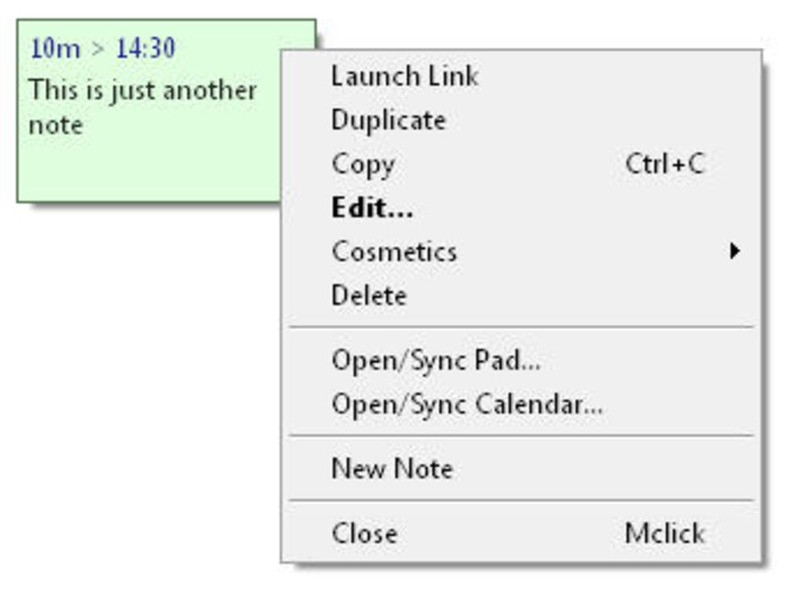 When you create a new note, it uses contents of the system clipboard at the moment as its text, automatically. Text and file clipboard formats are supported. You can also copy contents of any note easily, using the keyboard shortcut or the note context menu, back into the system clipboard. Note Mania supports several command line options. For example, a shortcut named "New Note" is created when you install Note Mania, with the command line option /n, in the Note Mania program group. The option /n is for creating a new note. 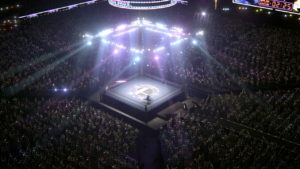 What do you think about Note Mania? Do you recommend it? Why?